Last summer, the U.S. was shocked when House Majority Whip Steve Scalise was shot during a congressional baseball game practice. 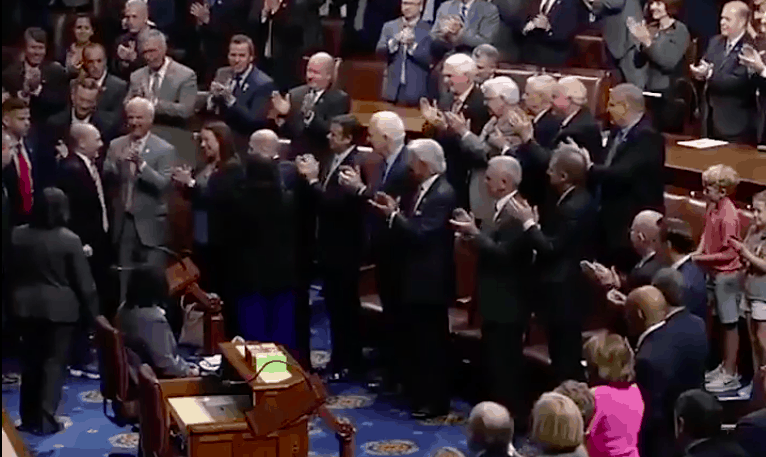 On Thursday, he got back to work on a pair of crutches and was greeted by a standing ovation to bring the House down in the rare (for this era) actual heartwarming moment in U.S. politics. Scalise also thanked his security detail, who fired back at the gunman even though they’d already been injured, and Rep. Brad Wenstrup, a medical doctor who was able to put a tourniquet together while Scalise lay wounded on the baseball field.